Drips and dirt are two causes of bumps in the finish. Another likely cause is using unstrained finish from a partially filled can. In such cases, it’s common for the finish to have partially skinned over and bits of the skin can be mixed into the finish. Two-component finishes can become lumpy if not properly mixed, as can water-borne finishes that have been frozen. 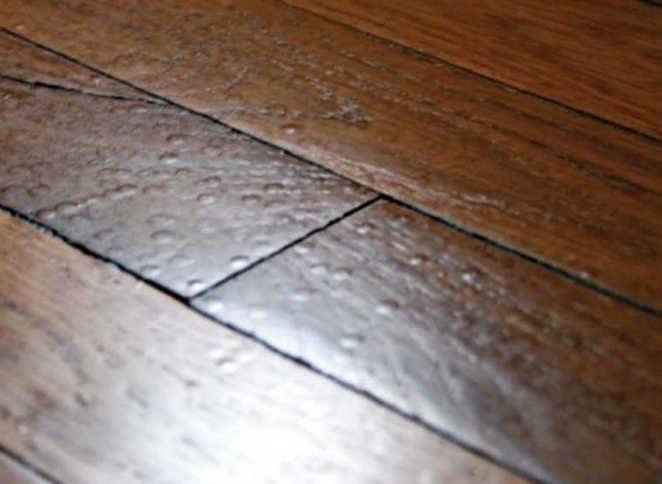 Sometimes oil-based finishes develop bubbles that pop but don’t fully level out. A few bumps can be scraped and touched in. If there are numerous bumps, they should be screened and the floor recoated.